Phnom Penh (VNA) – Vietnam beat Cambodia 3-0 in the last 10 minutes of their final match in the Mekong – Lancang friendly futsal tournament 2019 in Phnom Penh on March 23. The tournament was jointly held by the Cambodian Ministry of Foreign Affairs and International Cooperation (MFAIC) and the embassies of Vietnam, China, Myanmar, Laos and Thailand. 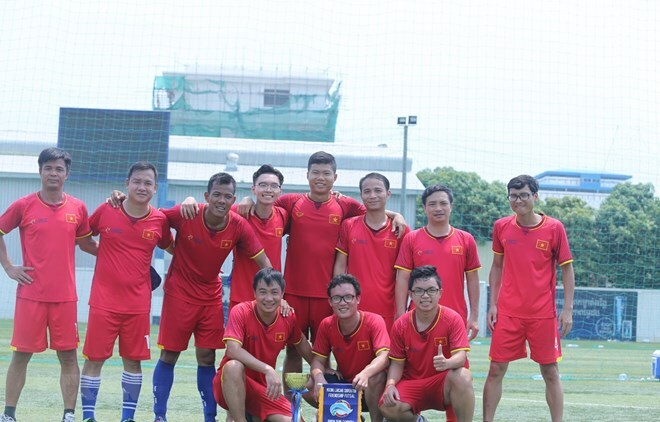 Accordingly, Vietnam won the first prize while the second prize went to the team from the MFAIC and the third prize to the team from the Thai embassy after its victory over Lao embassy team.